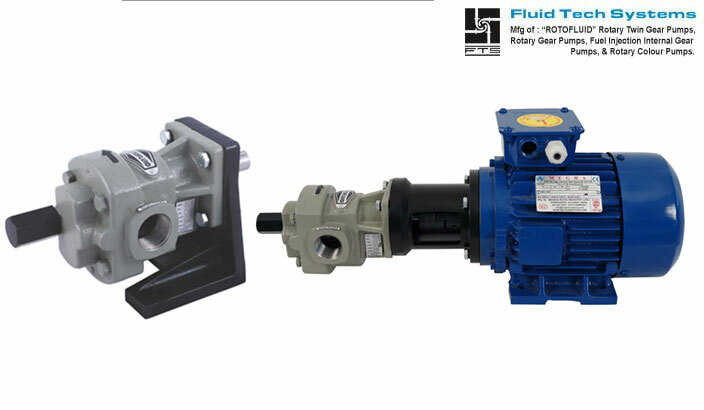 Fluid Tech Systems offer “ROTOFLUID” brand gear pump Model “FTX” (Gear Pump, Lubrication Oil Gear Pump) which is most efficient and economic range of flange and foot mounting type positive displacement rotary gear pump. Model “FTX” having Single helical shrink fitted gear pair and hardened and grind finished shaft. Ultra bronze sintered bushes ensured smooth running. It is perfectly designed and construction which increase life of pump and performance of pump. The suction and delivery connections are available in 1/4" to 1 ½" size. These pumps can be operated up to pressure of 10 kg/cm² with 2.5 LPM to 125 LPM flow capacity. 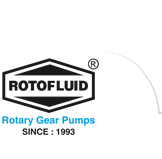 These pumps are designed to run at 1440 RPM and suitable liquid up to viscosity of 1,00,000 SSU and maximum temperature up to 200ºc. Monoblock version is very easy to portable one to another place and it does not required to align every time when coupled with electric motor. Monoblock version save space and reduces down time. Foot and Flange mounting options. Optional high temperature version up to 200º c.